DANBURY MINT GOLD ORNAMENTS – The only COMPLETE collection anywhere! The only COMPLETE collection anywhere! 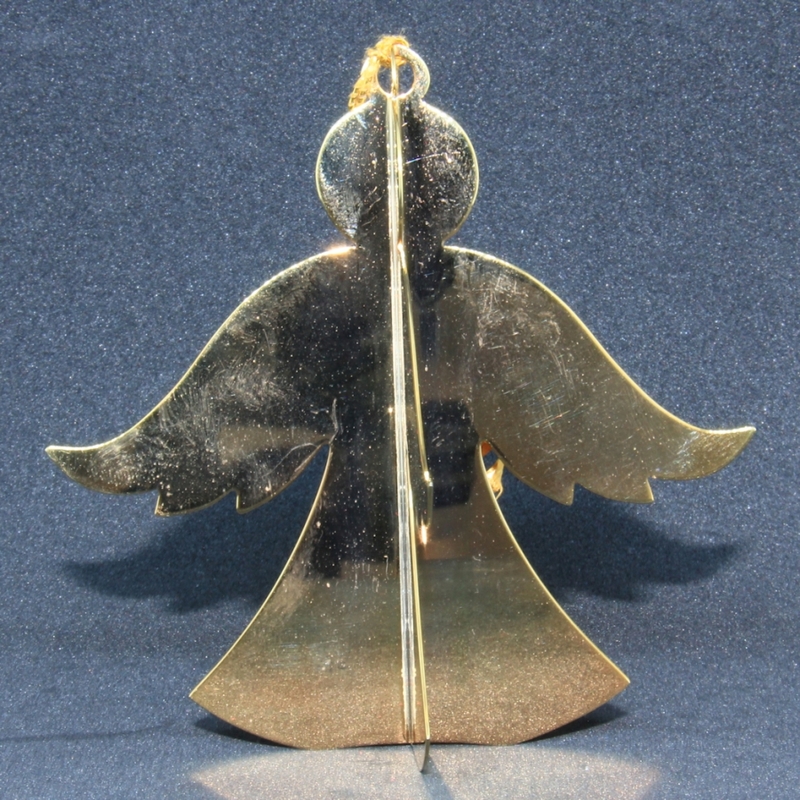 In 1976, a solitary ornament, an Angel, was minted by the Danbury Mint; the first issue in the Danbury Gold Christmas Ornament Collection. It was simple and elegant. Crafted of solid brass and then richly electroplated with genuine 23kt gold, that single Angel began a tradition which continues. As the years passed, the ornaments became more complex. You can see an example of the progression of art and technology in the slideshow above. In 1985, Barb began collecting the Danbury Gold Christmas Ornament Collection. She knew nothing about the history of the collection; she just knew she loved them. In 1988, she married Dave who was as intrigued by the beauty of these ornaments as she was. They both became curious and started researching them only to find that the Collection started with that single simple-yet-elegant 1976 Angel. Then in 1977, the Danbury Mint began issuing an ornament a month plus the annual ornament. Barb had to find them so she could have her own complete collection. She was lucky to find every single ornament in the Danbury Mint Gold Christmas Ornament Collection and completed that treasure hunt in the mid-1990s. Barb can still recall the excitement when she opened the box with her last find on eBay and knew that now she owned every single ornament! There were many sellers and other collectors that helped achieve their goal not to mention the support and patience shown by the Danbury Mint who was always willing to answer Barb’s never-ending questions as well as provide lists of all the ornaments. Danbury Mint did not have pictures of all the ornaments though. You see, when this collection started, we were not yet in the “Digital Age”. Maybe that is why Dave and Barb decided to build the original website; to allow other collectors to see all the ornaments, help identify what they might be missing and share the beauty of the collection with family and friends. By 2004, Barb & Dave’s lives and careers were so crazy that they did not have time to keep up with the website but it never stopped them from continuing to build their collection. But now that they are retired, Dave decided it was time to redesign the site, take new photos of all the ornaments and, once again, share the beauty of these ornaments with other collectors around the world. So here it is! Barb and Dave hope you enjoy this site and the collection. They will update the pictures annually – probably in November or December each year – when they photograph the current year’s ornaments before placing the new ornaments on their tree! We want to thank the Danbury Mint because, without their beautiful Gold Christmas Ornament Collection, this project would never have happened for us. The Danbury Mint has also been supportive of our site so collectors can get information on the ornaments, learn more about the collection and bring the beauty of Christmas that the Danbury Mint embodies in their creations to life. Want to collect these treasures? Click HERE to get the 2019 brochure!